This post helps clarify the concept of Cultural Maturity by taking a quick look at how it compares and contrasts with other views of our long-term future. 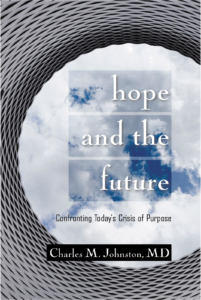 In my upcoming book, Cultural Maturity: A Guidebook for the Future, I divide the commonly encountered views of the future into five “scenarios” (to use the language of futurists): We’ve Arrived Scenarios, We’ve Gone Astray Scenarios,Postindustrial/Information Age Scenarios, Postmodern/Constructivist Scenarios, and Transformational/New Paradigm Scenarios. I think of these scenarios not so much as logically arrived at conclusions than as reflections of differing psychological orientations. I’ll outline them briefly here to help bring focus to what Cultural Maturity is—and is not. In later posts. Links go to more extended descriptions from Cultural Maturity. Many people, today, regard our present as a kind of cultural end point—as most people through history have done with regard to their particular presents. Advocates of such “we’ve arrived” conclusions assume that our current institutions and ways of thinking—whether political, religious, scientific, or economic—represent an apex, or at most need a further bit of polishing. While the concept of Cultural Maturity strongly affirms the achievements of the Modern Age, it also argues that there is no more reason to assume we’ve arrived at some culminating truth in our age than in any age previous, and every reason to hope that we have not. Certain other people believe, in polar contrast, that in some fundamental way humanity has failed, gone astray. We find extreme forms in millennialist religious warnings that the end is near, and milder versions in the more pessimistic of liberal/humanist and environmentalist positions (where legitimate concern can devolve into a self-fulfilling cynicism). The concept of Cultural Maturity agrees that modern times often find us in denial about much that desperately needs our attention. In addition, it supports that important truths—for example, about nature, about the sacred, about community, and more—have been “forgotten.” But unlike We’ve Gone Astray Senarios, Cultural Maturity proposes that the future holds great possibility. And it makes clear that going back to some perceived more ideal time is not the answer if we wish a healthy and vital future—and not even if we wish to retrieve aspects of human understanding we perceive to be lost. A third common view of the future assumes that inventions yet to come hold the answers to humanity’s problems, and pictures a future defined by continued “onward and upward” technological progress. Cultural Maturity affirms the role of technological progress, but it emphasizes that inventing is not the same thing as using invention wisely. It also emphasizes that technological advancement, unless accompanied by deep changes in ourselves, cannot get us where we need to go. The best of such Postindustrial/Information Age views include the recognition that new technologies tend to bring with them new ways of thinking. But technological advancement alone cannot fully explain the changes we see today or produce the changes we need tomorrow. A technological gospel, even if we include the changes in thought that new invention helps stimulate, ultimately stops short of a narrative able to provide reliable guidance or real inspiration. “Postmodern” thought has had major influence in recent decades particularly in academia. It emphasizes our times’ loss of familiar cultural guideposts, and final, “essentialist” truths in general. Advocates of postmodern perspective argue that we “construct” the realities we live in, and, according to them, the defining task of the future as doing so more consciously. Cultural Maturity views postmodern thought as providing a useful first step. But it proposes that surrendering our past cultural absolutes can only be a beginning. We must also learn to relate and think in new “postessentialist”— more nuanced, dynamic, and systemic—ways. Particularly with the more extreme of interpretations, postmodern thought commonly reduces to an ultimately unhelpful different-strokes-for-different-folks relativism. Its common aversion to overarching conception—indeed conception of most any kind—means it leave us with little of use to replace the traditional guideposts it so insightfully takes away. Cultural Maturity’s viewpoint differs from each of these predictive pictures in specific and critical ways. It also provides an encompassing vantage capable of putting differences in perspective. It sees the above alternatives as the conclusions we would predict when the world is observed through particular lenses. 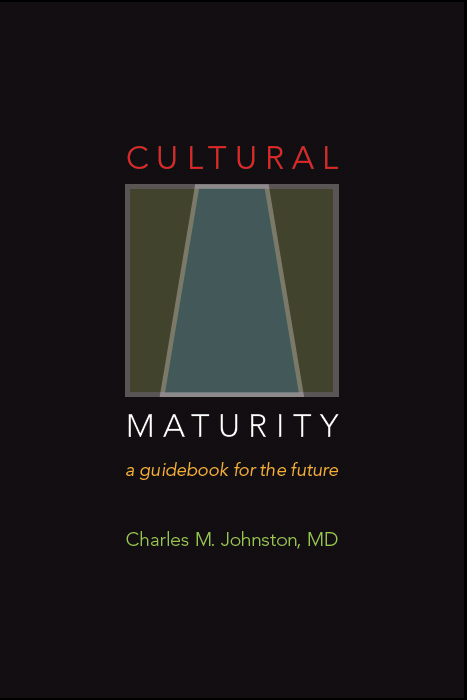 Cultural Maturity’s larger perspective both avoids traps common to these various alternative views and provides ways to address essential questions that none of them, alone or even together, can get at.